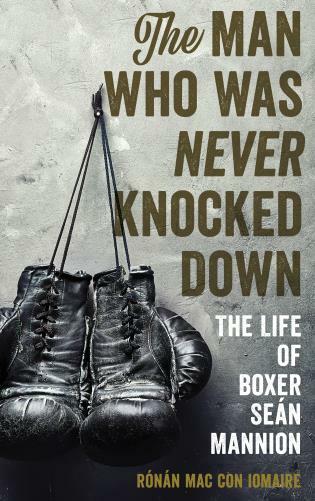 THE MAN WHO WAS NEVER KNOCKED DOWN: The Life of Boxer Sean Mannion. By Ronan Mac Con Iomaire. Rowman & Littlefield, June 2018. 240 pages. Boxing biographies, like boxers in fiction and film, are usually about champions, those who reached the craggy peak of success, a title. This book is about a contender, who missed being champion, by not that much. 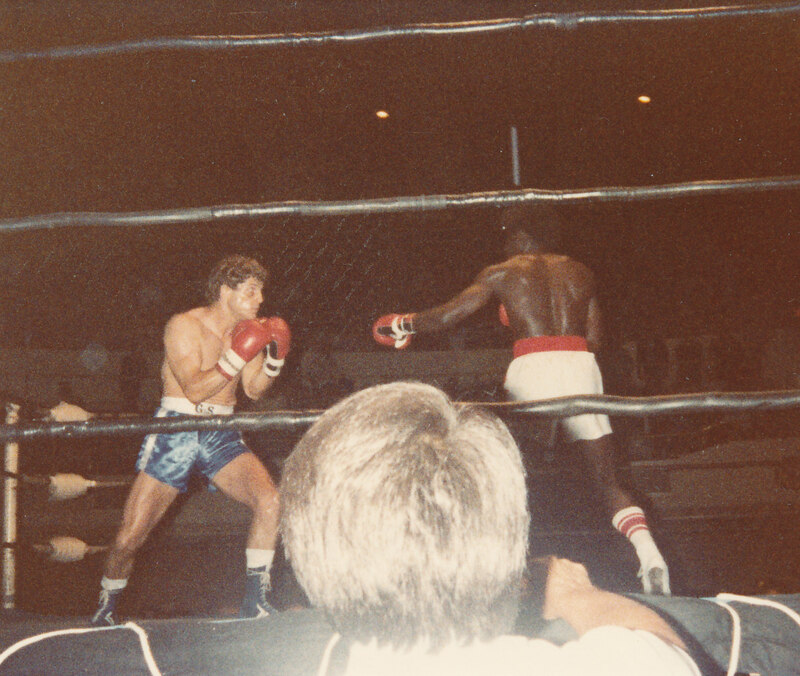 In the 1980s, although Sean Mannion was a top contender, with many great fights, he never wore the gaudy belts of the WBA or the WBC, arbiters of the sport. For fellow Irishman Ronan Mac Con Iomaire, his biographer, Mannion deserves a second chance for the public to respect the fighter he was, and honor the man he is. The man who was never knocked down is still standing. Iomaire has already helped produce a documentary about Mannion. In 2017, his “Rocky Ros Muc” was well received by Irish film critics. Mannion’s story begins in the village of Ros Muc in Connemara, western Ireland. Its most notable inhabitants, including Mannion, had to leave to find fame and success. Ireland’s people, it has been said, is its greatest export. The mother of the current mayor of Boston came from the village. When Sean Mannion climbed through the ropes for every fight, the label on his trunks read “Rosmuc,” for his village of 500. Mannion was once offered thousands of dollars to change the “Rosmuc” to the name of a business or a product, but he refused. He wouldn’t do it for a million, he said. “Rocky Ros Muc” is a reference to the Rocky of the most popular boxing story on film. That Rocky was a thick tongued, Phillie native, who punches his way to glory against all the odds, from lower class to sports aristocracy. The 20 foot square of the ring has its own truth to tell in the sweat and blood of opponents. Pedigree, privilege, and position don’t count a whit once the bell is rung and the fight is on. At its best, the ring is a meritocracy. In reality, as Iomaire explains, boxing is a big business, where few are fortunate – Sugar Ray Leonard was the first to make $100 million in the sport – and most of the rest, like Mannion, barely make a living. Managers, those who direct the talent and careers of the boxer, make a major difference, the choice of manager a mix of opportunity and luck. Mannion’s best manager, the legendary Angelo Dundee, appreciated his boxers and called each “my guy.” For Dundee, boxers, their well-being, came first. His job was to enhance their physical and psychological health to make them champions. Dundee finished his career with 15 champions. He considered Mannion as one of his most talented boxers. Dundee noted how tough Mannion was. It was he who remarked that Sean had never been knocked down, the title of Iomaire’s biography. Mannion could take a punch and distribute its force, roll with it, to lessen its impact. 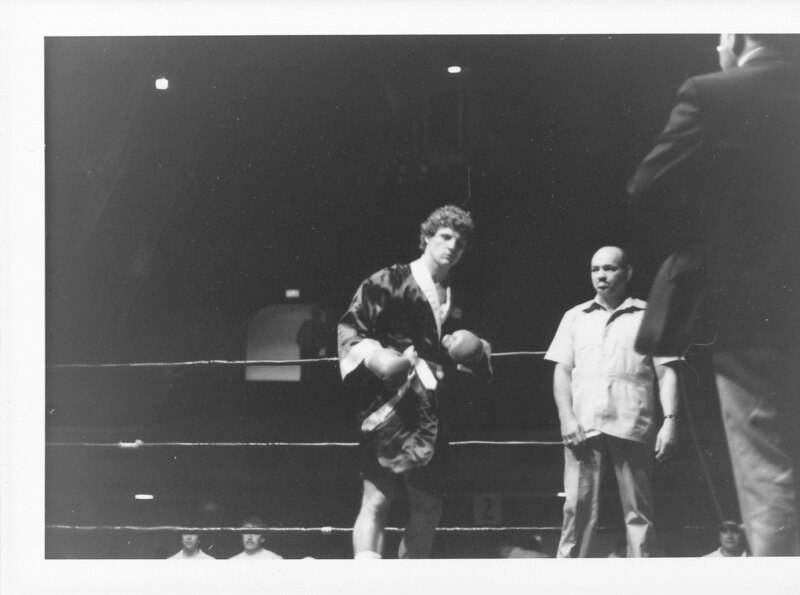 Mannion was a natural fighter, and often sparred out of his weight class. Dundee’s regret is that he didn’t manage Mannion when he was 20, instead of 30, nearing retirement. Iomaire has a convincing example of the other kind of management, where the boxer’s interests do not come first. In the early 1980s, a fight between the highly ranked Tommy Hearns and the unknown Sean Mannion was proposed. Aside from more money, success or even a good showing in the matchup would have elevated Mannion’s career and prospects. 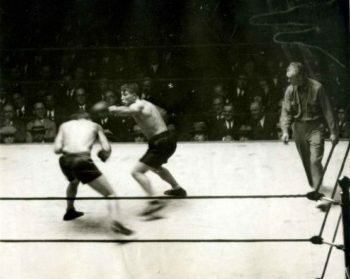 NBC commentator Dr. Ferdie Pacheco vetoed the fight because of Mannion’s manager then, Jimmy Connolly. 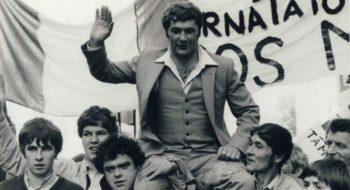 In June 1981, Connolly had committed Mannion to fight Davey “Boy” Green in London, but Mannion remained stateside for a wedding. Connolly was on the hook for a fighter against Green. He put in Danny Long after Long, just coming off a hard loss against Alex Ramos, had only 10 days of rest. Against Green, Long was beaten in four rounds, and his face, according to Iomaire, looked like someone had taken a baseball bat to it. Mannion continued his rise in the ranks until he got his chance to fight for the light middleweight crown. On October 19, 1984, in perhaps the most meaningful contest in his career, he went 15 rounds against one of the best of his class, Mike McCallum, whom Tommy Hearns reportedly feared and avoided fighting. A veteran of over 250 fights, a natural warrior like Mannion, McCallum would be his toughest opponent. Mannion, however, was fearless. Fortune did not smile on the Irishman. Five weeks before the fight, Mannion’s eye was cut by an errant elbow during sparring. The stitches made it impossible for him to spar. The wound had to heal. Mannion trained, hit the bags and pads, and ran the miles, but he lost the sharpness gained through sparring. In the fight, McCallum’s punches reopened the cut and shut Mannion’s right eye. Although he was lucky to last through the 15th , Mannion lost the decision. McCallum went on to defend his title many times after, but never faced Mannion again, his toughest opponent. The fight at Madison Square Garden, as Iomaire describes it, explains elements of Mannion’s identity, what made the fighter into who he is. South Station ran extra trains to New York to accommodate all the Boston Irish, on their way to attend the fight. Iomaire estimates that 10,000 of the 20,000 in the arena were Mannion fans. Like the “Rosmuc” stitched onto his trunks, the Gaelic language of Ireland epitomized Mannion’s roots, and perhaps Ireland’s painful history, the poverty, wars, famines, and oppression. Paddy, Mannion’s brother and cornerman at his fights, used to shout at him in Gaelic to lift Mannion’s spirits and remind him who he was. Mannion feared no man, but he was worried that he would bring shame to Ireland and Ros Muc. That wasn’t the case. When he returned to Ros Muc after his defeat, he was treated as a hero for representing Ireland in a championship bout. Sean Mannion never became champion in any division. He fought until retiring in 1993 at age 36. He worked construction in Boston to make a living. For a while, he trained boxers, but apparently his gym closed, the interest in boxing waning and the interest in property rising, as poorer sections of Boston gentrified. Iomaire says little about Mannion’s personal life (we learn late he was divorced, remarried, and has a daughter) or his problem with drinking, perhaps those empty calories one reason he struggled to make his weight class. Readers will be fascinated by the episode when Mannion had to lose nine pounds in a day to make the welterweight requirement, or forfeit the fight. Mannion got through that ordeal, as he did through every challenge in the sport of boxing – except winning the title, champion. Tuesday night, May 22 at the Shubert Theater in Boston the monster spoke. Dr. Jordan Peterson the Canadian clinical psychologist, author, professor and newly minted YouTube and media sensation gave a two hour (a one-and-a-half-hour lecture followed by a half hour q&a) presentation expounding on the themes of his internationally bestselling book, 12 Rules For Life, An Antidote To Chaos. Dr. Peterson’s emergence as a public intellectual with a growing following has been met by howls of protest and derision including accusations of his being a Nazi, homophobe, misogynist, anti-Semite and the leader of a cult of neocavemen. Tuesday night, the monster himself took the stage at the Shubert to a capacity house of, if his critics are to be believed, exclusively male, knuckle-dragging troglodytes. The first shock of the evening came when it turned out that in reality his audience consisted of casually dressed, polite (predominantly but not exclusively) men; but women were certainly there in abundance as well. The evening’s second shock came when Dave Rubin walked onstage to warm up the audience and introduce the monster. Rubin is a former liberal, a Jewish comedian, and host of the increasingly popular podcast The Rubin Report. He is also a happily married gay man. His introduction of Peterson was funny, warm and admiring. Then came the main event. The monster walked out onto a stage bare but for a stool holding bottles of water. He was thin, of average height, wore a gray suit and tan shoes (loafers?). When he began to speak his voice was mild. His mannerisms were restrained. He presented as the antithesis of the fire-breathing hate monger that much of the press has portrayed. Over the next two hours he covered a wide-ranging territory that included some personal history, (He grew up in a small, rather bleak town in Alberta, Canada. The closest big city was Edmonton, five hundred miles distant.) much discussion of his intellectual heroes Carl Jung and Alexander Solzhenitsyn, his distaste of deconstructionist philosopher Jacques Derrida, and his fascination with both biological and social hierarchies. Apparently, his audience of devolved knuckle-draggers had come out to hear a lecture about ideas. And he was an explosion of ideas. His manner of speaking was professorial without being didactic. And he was an explosion of ideas. His manner of speaking was professorial without being didactic. He gave the impression of a man who isn’t just teaching: he paused often as he seemed to be carefully considering what he would say next, checking it in his mind for consistency, veracity and value. Its an unusual style that has the effect of making his audience feel as if they are discovering ideas with him, as if they are part of his process. And he readily admits that he doesn’t have all the answers but is sincerely interested in finding them. If there was any one issue that propelled him into the spotlight it was his stance on a piece of Canadian legislation, Bill C-16 which stipulates that people must address transgendered or other “non-binary” people by a pronoun of their choosing. To fail to do so can lead to governmental sanctions. 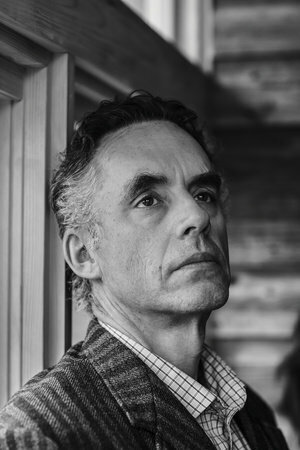 Peterson took to YouTube to voice his objection to the idea of compulsory speech which he vociferously contends is a violation of the principle of free speech. Suddenly he went viral. 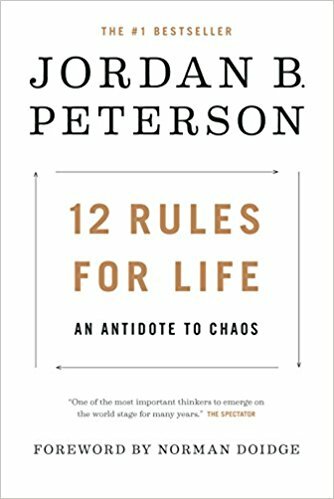 Much of what Peterson has to say is his extrapolation of what are the consequences of the hierarchical structure of society, itself embedded in the biological foundations of humanity. His analysis considers the stories of ancient heroes and stories of how man succeeds and fails. This leads him to Christianity which relies on the primacy of the individual. This he contrasts with the collective, which history shows invariably leads to tribalism and the segmentation of society into separate interest groups. 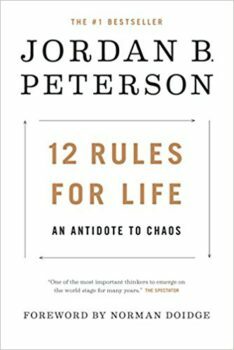 And it is here that we can see the genesis of the Left’s hatred of Peterson. By his reckoning history is rife with the failures of collectivism, including the horrors of Nazism, socialism and communism. And he sees the current growth of intersectionality, the collision of differing groups invariably leading to the strong marginalizing the weak, bringing about group conflict, with groups of the privileged victimizing the groups of the less powerful. He believes that the only way out of these constantly recurring collectivist societies which distort man’s true nature and inexorably leads to societal disaster is through making the individual preeminent. Thus Christ is literally and metaphorically the individual who shoulders responsibility and saves the world. Individual consciousness, the individual’s sense of responsibility despite the burden it places on man is the way out of the collectivist trap. And it is Peterson’s utter rejection of collectivism as anathema to the flourishing of the human spirit that makes him such a target for the Left. And it is Peterson’s utter rejection of collectivism as anathema to the flourishing of the human spirit that makes him such a target for the Left. If people once again start to believe in the primacy of the individual, the individual with a sense of meaning, then the Left’s entire narrative crumbles and blows away like dust. This is why they see him as such a danger, as such a monster. To watch the cheer that rose up from the audience when Peterson pointed to the necessity of their taking responsibility for their own actions would be enough to drive the Left to the paroxysms of hate that they have directed at Peterson. By the conversations that could be heard when Dr. Peterson had concluded his presentation the now obviously non-troglodytic audience left inspired to shoulder heavier burdens of responsibility in order to dedicate themselves to a higher purpose. At this point it became impossible to view the humble academic whose words had just held our attention for two hours as having any of the characteristics of a monster. If a monster had been expected to show up on the Shubert stage that night, he never appeared. In fact he seems never to have existed at all. From the time of John L. Sullivan up to the reign of Mike Tyson just about everybody knew who the Heavyweight Champion of the World was. It was the most prestigious of all sporting titles and the man who held it was one of the most famous, if not the most famous man on the planet. From 1885 up to 1990 only 30 men were able to claim that title. Being the Heavyweight Champion went beyond just winning fights. Unlike other sports, the Champ did not compete as part of a team. This was a solitary accomplishment that was the epitome of rugged individualism. It took more than just physical prowess to win the title, it also took strength of character and a determined will. People who have come to the sport of boxing in recent years have no idea what an important figure the Heavyweight Boxing Champion was to past generations. In that period I doubt there was a boy alive who didn’t at one time dream of holding the title. The history of those men who did reach that goal is a very rich one that often mirrors society as a whole. 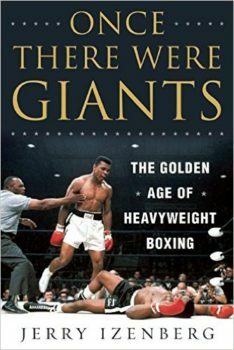 While many books have been written about individual title holders, there has been a need for a broad history of the era when everyone knew the names John L. Sullivan, Jack Dempsey, Joe Louis, Rocky Marciano, Muhammad Ali, and many others. People who have come to the sport of boxing in recent years have no idea what an important figure the Heavyweight Boxing Champion was to past generations. 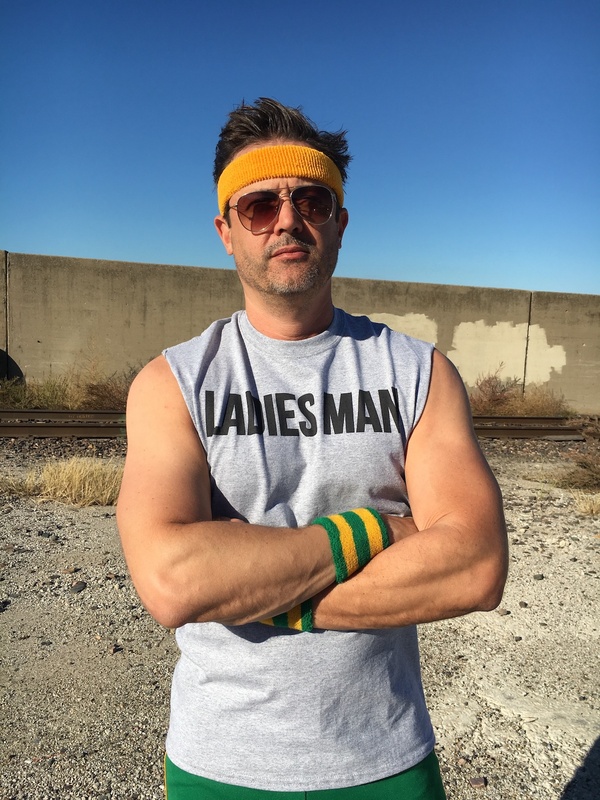 Now, thanks to Paul Beston, the Managing Editor of City Journal, that need has been filled. In The Boxing Kings: When American Heavyweights Ruled The Ring Mr. Beston tells the story of these unique individuals with insight and respect while at the same time not glossing over their weaknesses. If you are not already familiar with this history there is no better book for you to learn from. If you are an experienced boxing fan you will find this work refreshing and informative. 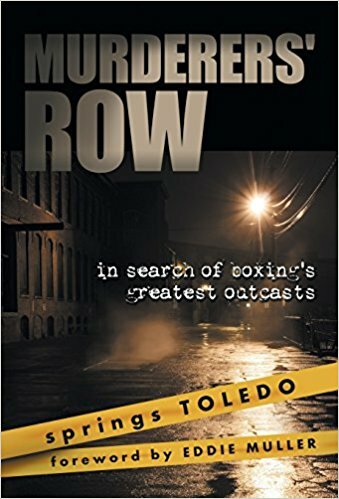 I consider myself to be a bit of a boxing expert and I still found much that was new to me while reading this lively narrative. It was interesting to find out that John L. Sullivan, who is well known for drawing the color line when it came to defending the title against black challengers, was one of the first people in the ring to congratulate Jack Johnson, the first black champion, when he defeated Jim Jeffries. Sullivan also rode on the railroad car with Johnson and his black supporters after the fight. There may have been an ulterior motive for Sullivan’s actions, but it is still surprising to read about this considering the time in which it took place. Mr. Beston moves through the years concisely but without giving short shrift to any of the personalties involved. Mr. Beston moves through the years concisely but without giving short shrift to any of the personalties involved. In the case of Jack Dempsey, a man who would become one of the most beloved figures in the history of sports, we learn he had his problems stemming from his not having served in the military during WWI. It was a stain that would haunt the great champion for years. Yet, even with that baggage his magnetism provided for the first million dollar gates in history. Dempsey also brought boxing out of the shadows and into the mainstream. Mr. Beston shines in this book in that he not only has done painstaking research, but he is also a great writer who never gives his readers a dull moment. In a chapter entitled The Substitutes he covers the period between Dempsey and Joe Louis. For many this time is looked upon as a lull between two great champions, but it was actually a fascinating period. It was during this time that two of the champions were not from the United States, making it truly a world championship. As that world was slipping into chaos it appeared the Heavyweight Championship was too. 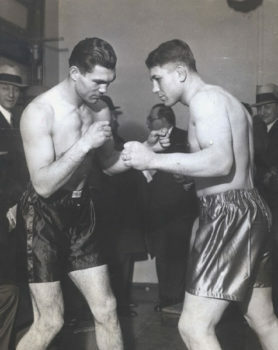 Max Schmelling won the title on a foul, the only fighter ever to do so. 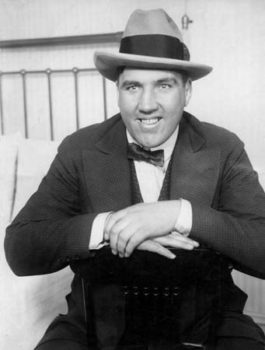 Gangsters were becoming heavily involved in the game, and there was even a question of whether or not Jack Sharkey threw his fight with Primo Carnera. It took Joe Louis to bring stability and honor to the sport. While reading Mr. Beston’s chapter on the Louis years one is filled with joy and sadness. Louis was not only arguably the greatest heavyweight of all time, but also one of the most important figures of the 20th Century when it came to unifying the nation and breaking down racial barriers. Louis does not receive the credit he deserves for all he accomplished. He is given his due here. As Mr. Beston writes “Louis was a light in black America’s darkness, and a generation would never forget him for it.” When reading that line I can’t help but think of how Muhammad Ali would later mock the aging champion. Louis was the first black golfer to play in a PGA event, another wall he broke through. I have to admit I was almost bought to tears reading about Joe’s days after boxing. This man who had done so much for boxing and for his country was hounded for years by the IRS and relegated to being a greeter in LasVegas. Paul Beston gives this great man the respect he earned and deserves. Mr. Beston brings us Rocky Marciano, the Brockton Blockbuster. 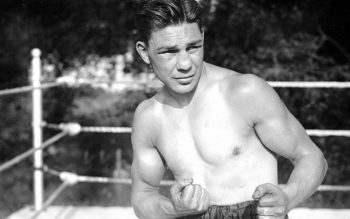 Marciano possessed the grit, determination, and sheer will that allowed him to overcome his physical shortcomings to become the only undefeated champion in history. He was also a hero to working class America. Following Rocky, Floyd Patterson’s rise to the throne ushered in a period when boxing appeared to be fading away. Then along came the colorful and handsome Swede Ingemar Johnson who briefly shot some adrenaline into the veins of the sport. We see Sonny Liston, the man whose stare paralyzed opponents and whose lifestyle made him unwanted as champion. 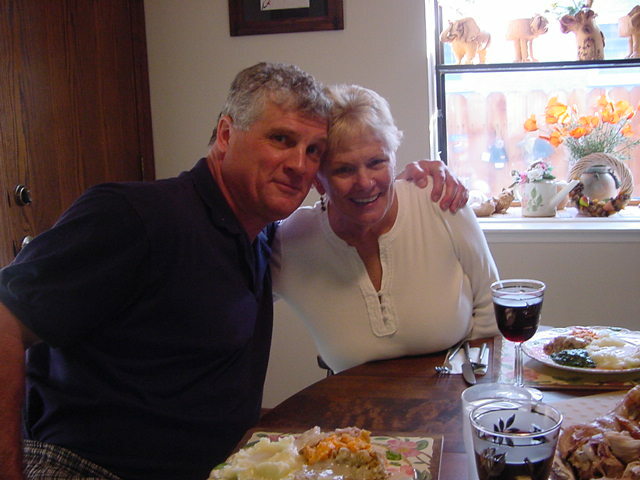 Mr. Beston gives us insight into this complicated man who is almost impossible to understand. If boxing were the works of Shakespeare, then Liston would be one of the “problem plays”. In reading the chapter on Muhammad Ali, the man who certainly saved boxing but at at a cost, I can’t help but think of how different things would have been if Ali had made some other choices. His decision to become part of a radical black separatist movement that preached racial hatred was so at odds with the unifying movement led by Martin Luther King Jr. This charismatic young champion could have done so much to further race relations but chose to take a different path. It is ironic he is looked upon as a great Civil Rights leader when he preached separation of the races. Mr. Beston gives us much insight into Ali’s career, but I think he could have a whole book just on this one subject where he would be able to delve more deeply into this subject. Paul Beston closes his history with the years following Ali and ends with Lennox Lewis taking over as champion. In these chapters he discusses the bitterness of Larry Holmes and even made me feel some sympathy for Mike Tyson. He gives his thoughts on why the Heavyweight Champion is no longer a recognizable figure. Paul Beston’s work is truly worthy of the Championship Crown. I read a lot of books on boxing. There are a number of good ones out there. However, some are well researched but poorly written and not well edited, while others are plain awful. 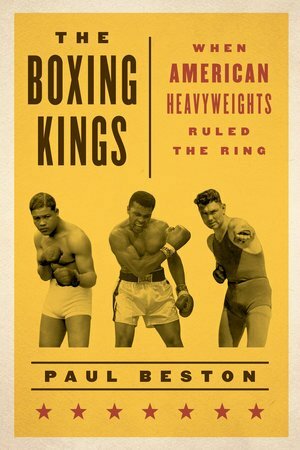 In The Boxing Kings we have the rare book that is well researched, well written, lively, informative, and fully conveys the author’s love for the sport while taking an honest view of it. If books were fighters some would be tomato cans, some journeymen, some contenders, and a very few would be Champions. Paul Beston’s work is truly worthy of the Championship Crown. I highly recommend it. Not a lot has been written about Jess Willard. Part of the reason for that is because his championship reign was bookended by two champions who not only are considered all time greats, but who were also very colorful figures. It is unfortunate the Willard story has not been told as it is a very interesting one. That oversight has now been rectified with the very detailed account of the Pottawatomie Giant’s life written by Arly Allen. Mr. Allen was fortunate to have had the assistance of Mr. Willard’s grandson James Willard Mace. He also had access to Jess Willard’s unpublished autobiography. The result is a lively story about a man who, while preferring a peaceful life, was repeatedly finding himself in controversial situations. Willard only had 22 bouts in his 23 year career, but at least two of those bouts are still argued about by boxing historians to this day. Arly Allen digs deep into the details of both those bouts, the title winning knock out of Jack Johnson and Jess’ loss to Jack Dempsey. Mr. Allen has strong views on both of these fights and he presents plenty of evidence to back up his conclusions. Whether or not he changes minds remains to be seen. He certainly has added much to the discussion. Did Jack Johnson take a dive in the 26th round of the bout in Havana? Were Jack Dempsey’s gloves loaded in Toledo? There isn’t a boxing historian on the planet who doesn’t have an opinion on these controversies. Agree or not, they should all enjoy reading this book. Jess was born in Kansas in 1881. The young Willard was tall and lanky and was an excellent athlete who excelled at swimming and running. He was also an excellent horseman. 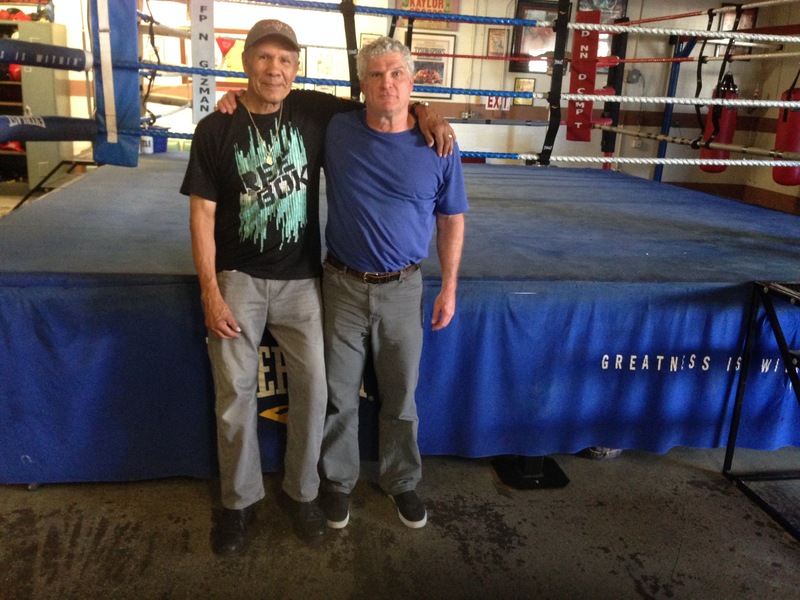 The easy going Kansan hardly seemed the type to go in for boxing. In fact, he didn’t really care for the sport, but did get caught up in the search for a Great White Hope to defeat Jack Johnson. Willard’s size, six foot six and a half coupled with his agility got him noticed. His lack of a killer instinct was also picked up on. It seems Jess found it difficult to throw the full force of his body into punches unless he was hit hard first. He also had an aversion to fighting men smaller than he was as he was afraid he would cause them serious harm. Indeed, Willard did kill a man in the ring. 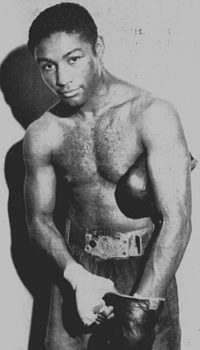 His bout with another big man, William “Bull” Young ended in tragedy when Young died the day after his fight with Jess. Willard was devastated by this event but continued to pursue a career in boxing. The Jess Willard story is a fascinating one. Mr. Allen’s research comes up with many interesting facts about Willard’s life. He was repeatedly ending up in court because of boxing in places where the sport was illegal or not clearly defined, because of financial disputes, and the Young situation where he was charged with manslaughter of which he was acquitted. It becomes clear that Jess was an honest man who, and with good reason, didn’t trust anyone around him. This distrust led him to enter the ring against Jack Dempsey without having solid people in his corner to watch out for him. If he had, the results of that bout may have been different. In an interesting story leading up to the Dempsey fight Mr. Allen relates how there were three people who thought Jess might very possibly kill Jack that afternoon in the ring. They were Jess, Tex Rickard, and Jack Dempsey himself. Jack wouldn’t make eye contact with Willard when he entered the ring. There is much more and it is all very thought provoking. From the time Jess won the title in 1915 until his loss to Dempsey in 1919 he only defended the title one time. He did, however, make quite a bit of money by making personal appearances, putting on exhibitions, and investing in a traveling circus. Willard made and lost fortunes over his life time. Willard’s blunt manner often got him into trouble. Mr. Allen relates the time Jess was booked for an appearance in Boston. He was to be paid $2,000.00 for one evening, a very substantial amount of money for that time. His visit also coincided with the running of the Boston Marathon. When Jess was asked to appear at the finish line he refused saying that if people wanted to see him they would have to pay. Needless to say, this left a bad taste in the mouths of Bostonians and only a small crowd showed up for his paid appearance. There is a similar story regarding Jess and Harry Houdini. These tales all make for fascinating reading. There is much for boxing historians to learn from Mr. Allen’s well written book. For instance, I knew that the actor Victor McLaglen had fought Jack Johnson in an exhibition bout when Johnson was champion. I did not know that he also once boxed Bob Fitzsimmons and that he went four rounds with Willard. The Jess Willard story is a fascinating one. He was a decent man who managed to get the public to turn hot and cold for and against him. He always felt he could beat Dempsey and even when nearing the age of forty he campaigned for a rematch. That bout would have happened if he had not been stopped by Luis Firpo. An interesting note, the Firpo bout was held at Boyle’s Thirty Acres in New Jersey, the site of the Dempsey v Carpentier bout. The fight drew nearly 100,000 people, approximately 10,000 more than the Dempsey / Carpentier fight. Willard received nearly $210,000.00 for the fight. That is an astronomical amount for the time. There is so much more to this book. Willard was champ during WW I and during flu epidemic. The stories of his real estate and farming investments, his sixty year marriage to Hattie and the lovely family they raised all make for fascinating reading. 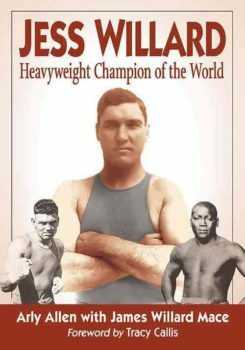 Jess Willard deserves the attention of boxing fans and this book is the place to start. He was not just the guy who held the title between Johnson and Dempsey. He was a deeply interesting man. 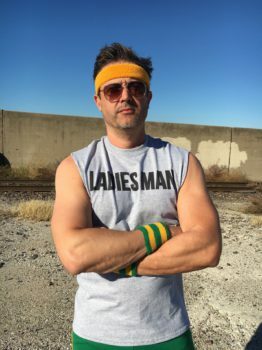 Stephan Pastis is the creator of the very popular comic strip Pearls Before Swine that he has been drawing for sixteen years and now appears in 750 newspapers worldwide. 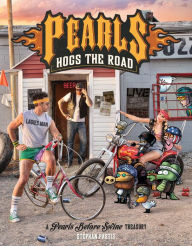 The lawyer turned cartoonist’s latest book is Pearls Hogs The Road: A Pearls Before Swine Treasury. He is also the author of the Timmy Failure books that are now going to be turned into a movie by Disney. His characters Rat, Pig, Goat, Guard Duck, The Crocs, and many others are irreverent and funny. Judging by the very large crowd that gathered at the Brookline Booksmith in Coolidge Corner, MA to watch him give a presentation and do a book signing he is extremely popular, and that popularity extends to all age groups. I had a chance to speak with Mr. Pastis before his appearance. Later in the evening I find out just how much fun he has with them. During the presentation, he gives examples of messages he has received from people and organizations that were not happy with a particular strip. These range from the International Polka Association to the Turkish Embassy. In true Rat like manner he has an answer for all of them. And his responses are all hilarious. For example, in an apology his publishers drafted for the Turkish Embassy the Greek American Pastis, he ask that they add a P.S. asking that Turkey give Cyprus back. Guard Duck may have to work on that one. As to how he decides what characters to use each day, “I don’t really think about that. I’ll look back on a time when I do nothing but Rat. It’s probably a time when I’m angrier and more stressed, and then when I’m vulnerable and fail at something I imagine Pig predominates more. The Crocs, which are almost a whole different comic strip just came to Mr. Pastis one night. He says, “It was just a weird middle of the night idea that struck me as funny.” Fortunately, he keeps a pad and pen by his bedside so he is able to save these ideas. Before becoming successful as a cartoonist Mr. Pastis had a career in law. When I ask about it he responds rapid fire, “Yeah, ten years. Litigation. San Francisco. Insurance defense. Never liked it. Bad job. Don’t do it.” He then laughs and says, “I’d like to see how that prints…like ten two word sentences all in a row.” Sounds like a man who enjoys words. Millions of readers look forward to reading Pearls Before Swine each day. I have to admit, I am not a big follower of the comics, but I am one of those people. Once you start you will not be able to stop. 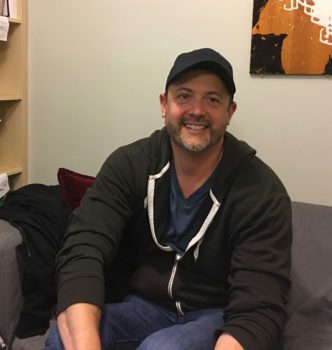 If you have the chance to see Stephan Pastis in person I urge you to do so. He is not only a talented cartoonist, but he is also a very, very funny speaker. Rat may take issue with that statement, but that just might be a case of that self-loathing. Stephan Pastis’s latest book, Pearls Hogs The Road: A Pearls Before Swine Treasury, is published by Andrews McMeel Publishing. From the time of John L. Sullivan and through most of the 20th Century being the Heavyweight Champion of the World meant being the stuff of legends. It was as close to immortality as any man could get. Young boys would dream of growing up and one day being the next Jack Dempsey or Joe Louis. To hold that great title also meant being arguably the most famous man in the world. It is impossible to recall the Roaring Twenties without thinking of Dempsey. 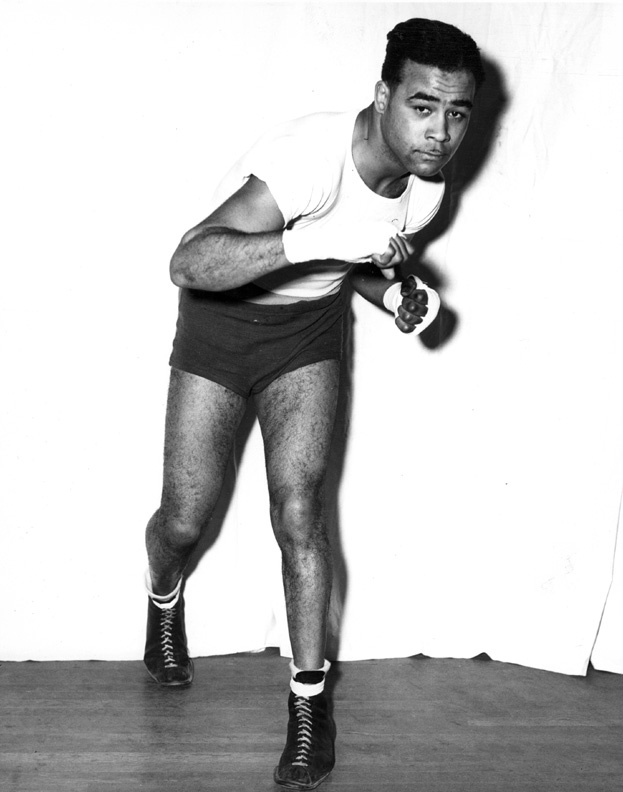 The 30s and 40s always have Joe Louis’s visage looking at us from that time of the Great Depression and WWII. As America got back to work after the War we had Rocky Marciano to remind us of the value of hard work and perseverance. In between each of these great champions were other great men who left their own mark on the history of boxing. The Heavyweight Championship was the most difficult to attain and most prestigious honor to capture in all of sports and I would argue in any realm of the world of entertainment. It is sad that today it is just a memory. That great title no longer exists. Oh, there are people, a lot of them, who claim it but none who have earned it. I doubt there are any young men today who wake up in the morning with that dream their grandfathers and fathers had of being the Champ. Those days are far behind us, but they didn’t go away without a fight. 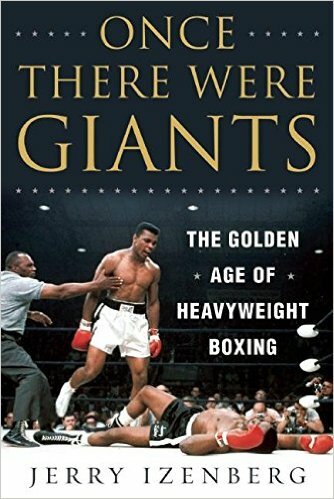 The final era when the Heavyweight Title still meant something was also one of its most exciting, Jerry Izenberg in his new book Once There Were Giants: The Golden Age Of Heavyweight Boxing (Skyhorse Publishing, NY,NY) brings us back to that very exciting time. If you were fortunate enough to have experienced boxing from the 1960s until the late 1980s Jerry’s book will bring back terrific memories of what may have been the most competitive period in the history of boxing among the big men. Mr. Izenberg argues it was, and he is standing on solid ground when he says so. It was certainly a very exciting time to be a fight fan. In a lively narrative Mr. Izenberg brings us to ringside and into the backrooms to visit with the fighters to relive many great moments. As background Mr. Izenberg chronicles the rise and fall of the mob that took place from the 1930s up until the 1960s. 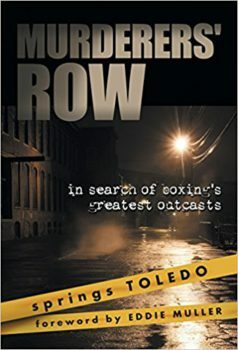 We are introduced or reintroduced, depending on your age, to such characters as Owney Madden, Frankie Carbo, Jim Norris, Blinky Palermo, and many other gangsters who controlled boxing for decades. It is a sordid history of corruption and strong arm tactics and very worth reading. 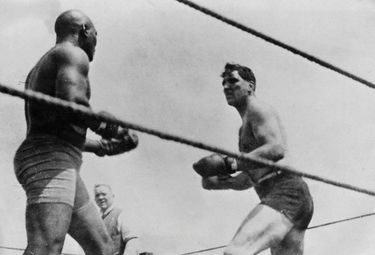 After Rocky Marciano retired, the Heavyweight Championship fell into a sorry state. Cus D’Amato who had crusaded against mob control of boxing was able to take hold of the title with his young fighter Floyd Patterson. Mr. Izenberg sheds a lot of light on the real D’Amato who, it turns out, had his own mob connection. D’Amato also made it even more difficult for legitimate contenders to get a shot at the title because he was not going to allow his champion to step into the ring with any opponent who had a pulse. At least with the old mob a fighter could buy his way in. With D’Amato the division went into a period where having talent only increased a fighter’s chances of not getting a title fight. Ironically, it took the underworld figure Sonny Liston to change things, though it took someone else to shake up the world of boxing. When Sonny won the title by destroying Patterson boxing epitaphs were being written. Boxing had gone from a mama’s boy to a man who was pure evil. It didn’t look like it could sink any further. This is where Jerry’s book goes from the darkness to the glory times. A young Cassius Clay had returned from the Rome Olympics waving his Gold Medal and proclaiming himself “The Greatest”. He stepped up and whupped Sonny and began a new age in boxing. An age Jerry Izenberg was there to witness from beginning to end. In a lively narrative Mr. Izenberg brings us to ringside and into the backrooms to visit with the fighters to relive many great moments. When Clay, now Ali, became champion he fought everyone. Of course, a number of these contenders had grown old waiting for a title shot, but they were no longer going to be denied. Ali fought often and was always heard from. He was loved and hated, and he was exciting. Boxing was now back in a big way, and Mr. Izenberg brings it all alive again. As Ali was mowing down the old line of contenders a whole new crop was sprouting up. While none seemed an immediate threat to Ali, it was going to get interesting. Well, it did get interesting when Ali was stripped of his title for refusing to be inducted into the Army. With Ali sitting on the sidelines the heavyweight division still blossomed as many of the young prospects developed into serious contenders. By the time Ali returned to the ring boxing was a whole new picture. It had certainly become much more competitive and even more exciting. Jerry Izenberg follows these events up until the implosion of Mike Tyson when it can be said heavyweight boxing was breathing its last. We are there for the three Ali v Frazier fights. 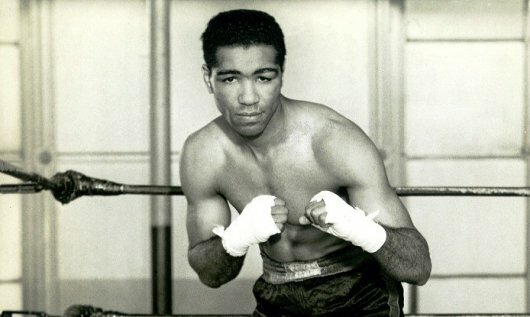 The Foreman destruction of Frazier as well as Ken Norton’s win over and two controversial losses to Ali. And the rise of Larry Holmes, a fighter who never got the respect he deserved. Mr. Izenberg’s insights are terrific, and his chapter on the Holmes v Cooney fight is particularly interesting. The racial overtones that fight took on were a sad episode, but it is good to know they were not shared by the fighters. There are also many behind the scenes stories about the rise and fall of Mike Tyson that include one very personal moment the author had with the future champ as well as the story of Teddy Atlas’s break with D’Amato and Tyson. Boxing fans will love this. And if that isn’t enough, Jerry takes you to the Pruitt-Igoe Housing Project in St. Louis for a visit with Michael Spinks. The visit took place at midnight in the notorious project and it took plenty of courage for Jerry to show up. It does result in a very interesting story. If you want to know what competitive boxing is like. If you want to know what it is like to have evenly matched contenders fighting for the title. If you want to get a taste of the electricity that would fill the air all across the country when the Heavyweight Championship was on the line you will find it in Once There Were Giants. It’s unfortunate it will never be seen again. The 1920s and 1930s were truly boxing’s Golden Age. Just the shear number of participants in the sport guaranteed it. 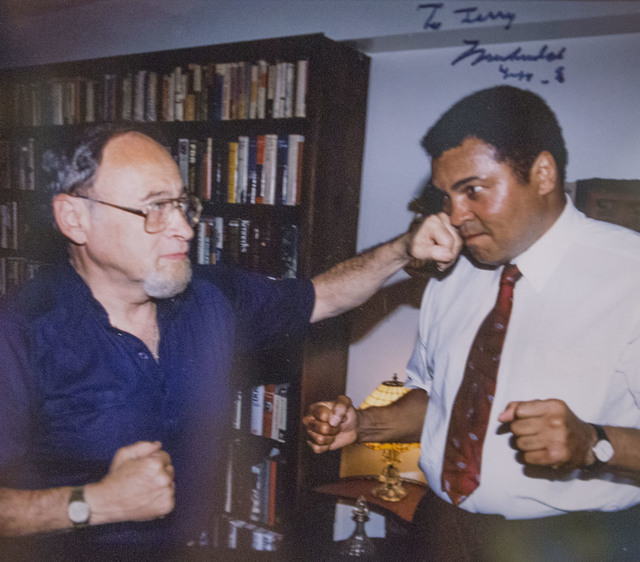 Boxing historian Mike Silver points out in his book, The Arc of Boxing, there were between 8,000 and 10,000 fighters licensed during this period. In 1927 New York and California alone had 2,000 licensed boxers each. That is way above the total number of fighters participating today, and these fighters were much more active. Because there were so many fighters there were also a huge number of fight venues. During these years, and even during the Great Depression, a boxer could make a decent living fighting every couple of weeks. Add to this the fact that there were gyms everywhere that were filled with excellent trainers. Where a boxer never lacked for sparring, and you can see why fighters from this period were so good. While places like New York were certainly Meccas for boxing, the rest of the country did not lack in fight clubs. In these pre television days boxing was one of the most popular forms of entertainment. Cleveland, Ohio had a very vibrant fight scene, and boxing historian Jerry Fitch is working hard to keep the history of boxing in that area alive. Jerry is the author of a terrific biography of the great heavyweight Jimmy Bivins as well as “Cleveland’s Greatest Fighters of All Time”, and a memoir, “50 Years of Fights, Fighters, and Friendships. 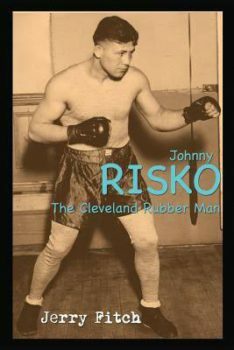 In his latest work Jerry takes his keen historian’s eye and focuses it on one of the toughest and most prolific fighters to emerge from Cleveland, heavyweight contender Johnny Risko, also known as “The Rubber Man” because of his ability to take punches and still keep coming forward. This is not too say Risko just stood there and absorbed punches, no, he was also a skilled boxer, but it was next to impossible to knock him down or out. In fact, in approximately 140 fights (the exact number is not known) Johnny was only stopped three times one of which was by the great Max Schmeling. He was counted out only one time and that was in his last bout when he was 38 years old. Reading Jerry Fitch’s book on Risko is a boxing history lesson in itself as it goes beyond the career of Johnny Risko. Just reading through the Cleveland contender’s record is amazing. The names that appear there, the people he fought, is a who’s who of boxing from that glorious period. It is staggering to see who the Rubber Man went up against. Jack Sharkey, Gene Tunney, Mickey Walker, Tom Heeney, Max Baer, Tony Galento, Tommy Loughran, Ernie Schaaf, to name just a few. And Risko was no “opponent”. He beat many of these men. He split a pair of decisions with Baer and beat Louhgran two out of four times. No, Risko was far from an opponent, he is more remembered as a “spoiler” as he ruined many a contender’s chance at getting a title shot. 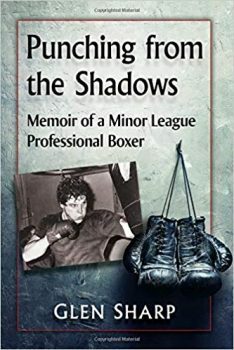 While just looking at the Risko record can be enough to excite any fight fan, it is in reading Jerry’s lively account of his life and battles that is really a treat. Mr. Fitch has done tireless research in digging up accounts, many of them first hand round by round reports, of these great fights. You are there when Johnny beats George Godfrey, you have a seat at the Risko v Schmeling bout, you can see the smile of frustration on Max Baer’s face as he is unable to hurt the Rubber Man. This is living history. Along the way Jerry also treats his readers to short, but detailed, biographies of many of Risko’s opponents. His treatment of Max Schmeling is very interesting. In just a few pages he gives a concise account of of the German’s career and fighting style. Johnny Risko’s life is also covered in great detail. He was a smart businessman who walked away from boxing with money in his pocket and an appreciation for life. 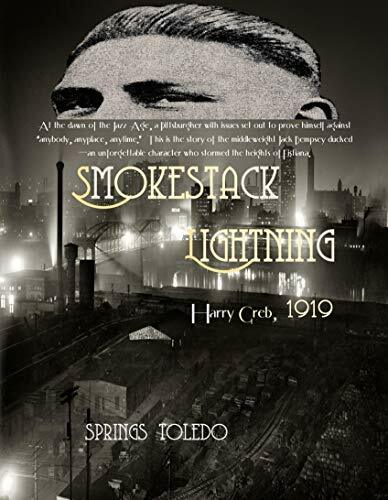 As I moved along in this book I felt I was really getting to know this interesting character from Cleveland’s past. He sounds like a guy who was quick with a smile and a happy remark. I doubt anyone would have felt uncomfortable in Risko’s company. So why didn’t Johnny Risko ever get a shot at the title? Well, he came close many times but the timing was never quite right. Back then fighters didn’t score a victory over a top fighter and then wait around for the big fight. No, they kept fighting and sometimes would lose and get set back a bit. In the days of Johnny Risko, being a top contender really meant something. As is pointed out in this fine biography, Johnny was a top notch fighter. He was a true contender. Take a second to look at his record and I know you will want to learn more about him. Fortunately, thanks to Jerry Fitch you have that opportunity. His book will bring the Cleveland Rubber Man to life for you. I would like to point out if it weren’t for dedicated boxing historians such as Jerry Fitch who devote untold hours researching these greats of the past they would be forgotten. Jerry, and others like him, deserve the eternal gratitude of all boxing fans who care about the legacy of this once great sport. It is important to support the work they do. Thank you Jerry Fitch for the work you do. Johnny Risko and the others are looking down from above and smiling.